2 Apr Filed under Uncategorized. Tagged Blog, celebration, gears of war, half way point, laundry. Bookmark the permalink. Post a comment. Leave a Trackback (URL). This here folks is the half way point. 182 posts is juts half of 365. I’ve been writing this damn thing for half a year. Color me impressed. Really. I suffer from mild ADD, and so my motivation is always in conflict with my straying mind. To have consistently kept up with this blog is a monumental feat. How can I celebrate. Well, writng tis post, in all honesty, doesn’t feel like a celebration. I could go drinking, but this post came out complex.com . . . The 25 Douchiest Bars In Chicago. So, that doesn’t really make me want to explore the realities of the Chicago bar scene. I could celebrate by watching the entire 5th season of Doctor Who in one day. That would be 14+ hours. 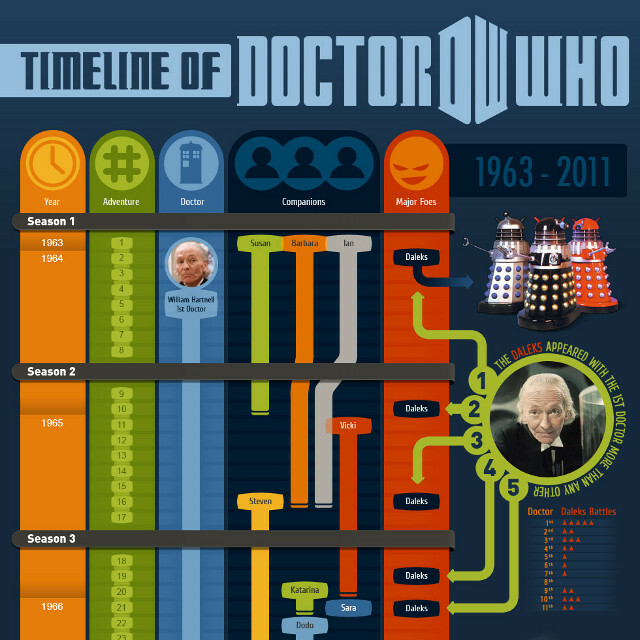 And looking at this chart my friend James Thompson showed me, the daunting task of catching up on Doctor Who in it’s entirety is mind numbing. Might as well try to win the lottery . . . or become a god. This is just part one of a 48 year history. 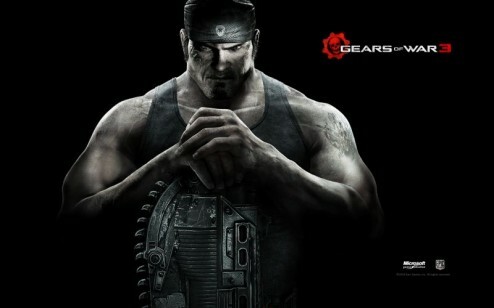 I could try and finish Gears of War 3. However, the average time it takes to finish that game is 3 hours and35 minutes. And that’s if you’re not a gamer score whore like myself. So, add about 5 more hours to that . . . minimum. Of course, this guy has been following me around the apartment, staring at me for 15 hours straight, so . . . same thing, right? How about fold my laundry. I could fold my laundry that Megan did for me today . . . okay, that was a good laugh. Next . . . Celebrating just isn’t in the stars for this accomplishment. If you want to call it an accomplishment. I’m back at work for the forst time in 7 weeks. I have to go to the gym because LA made me a fat lazy slob (hense the suggestions above) and I have an appointment with my sound designer (Mr. Thompson from above) to finish sound on my first big film from grad school (shot in 2007). So, maybe I should hold off on celebrations till day 365. I have enough catching up to do. I guess I’ll just thank my wife. She’s pretty cool. I like her. You like her. That will be my celebration!